This year’s Workday Rising, the company’s annual user group meeting, offered details of the company’s latest release, Workday 31, and provided a roadmap for the next several semiannual releases. To put these plans into a broader context, I’ve commented before that information technology is on the verge of delivering capabilities that will enable finance and accounting organizations to transform how they work. Technology will have a more profound impact on accounting and finance over the coming decade than it has over the past 50 years. Workday Financial Management, along with the company’s Prism Analytics and recently acquired Adaptive Insights, is evolving to provide to finance and accounting departments the technology underpinnings that can help them redefine how they do their work. However, it’s still early days on this journey. Workday, like other vendors, has a way to go in delivering on this vision. There also are issues on the customer side: Finance organizations need to improve their performance to be able to make use of the rapidly evolving technology capabilities. 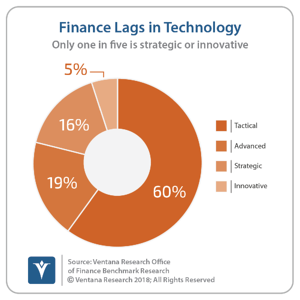 Our Office of Finance benchmark research finds that a majority of companies are laggards in their ability to use technology: Six out of 10 companies are at the lowest level of technology competence while just 5 percent are at the highest innovative level. For that reason, I recommend that department heads adopt a “fast-follower” approach to technology adoption. The acquisition of Adaptive Insights enables Workday to support the interconnected enterprise-wide approach to planning that I call “continuous planning,” a high participation, collaborative, action-oriented approach to planning built on frequent short planning sprints. Workday’s “Power of One” slogan is about the user experience, not the system’s architecture. Automating mechanical, repetitive accounting processes in a continuous, end-to-end fashion to improve efficiency, ensure data integrity and enhance visibility into processes. Distributing workloads continuously over the accounting period (the month, quarter, half-year or year) to eliminate bottlenecks and optimize when tasks are executed. Establishing a culture of continuous improvement in managing the accounting cycle. Such a culture regularly sets increasingly rigorous objectives, reviews performance against those objectives and makes addressing shortcomings a departmental priority. Workday’s software and its roadmap for future enhancements applies modern finance technology and more flexible process management techniques to increase both accounting efficiency and finance department effectiveness. It makes it feasible for finance executives to sustain continuous improvement in managing the accounting function to deal with dynamic business conditions. Its technology enables the department to bake in process improvements and increasingly manage by exception. Workday’s Financial Management data architecture provides the flexibility that allows accounting departments to reconsider how and when they perform their work. The monthly, quarterly and semiannual calendars of the accounting cycle are not set in stone. Much of what we think of as “normal” procedures are rooted in centuries-old limitations imposed by paper-based systems and manual calculations. Monthly and quarterly processes developed as the best approach to organizing, coordinating and executing the calculations needed to sum up the debits and credits in journals and ledgers. In other words, these schedules represent a trade-off to balance efficiency and control – waiting for a sufficient volume of entries to justify taking the time to perform manual summations, adjustments and consolidations, while not waiting so long as to jeopardize financial control. Workday Financial Management architecture enables companies to create trial balances continuously, although as a practical matter most companies will find that a weekly cadence is sufficient. Until recently, technology limitations made adding up the debits and credits a batch process, so it was necessary to do it only monthly. Consequently, accounting departments were no better off with electronic systems than with paper journals and ledgers. Their accounting close workloads remained crammed into a high-pressure monthly sprint. With Workday, departments can spread out reconciliations and what have traditionally been month- or quarter-end processes into smaller, weekly activities. This reduces the month-end workloads and can shorten the close while de-stressing the department. The ability to do real-time trial balances can be extended to doing a virtual close at any frequency during an accounting period. A virtual close uses the current trial balance data and calculates accruals, amortizations, depreciation and other period-end adjustments as of the current date to create a pro-forma set of financial statements. None of the adjustments are posted to the accounting system. The result is a “good enough” set of timely financial data that can provide executives and managers with a more complete picture of their performance and the health of the business. Continuous accounting emphasizes data integrity because it’s essential for the accuracy and consistency of the financial data of an organization. A lack of data integrity is the root cause of many time-wasting activities in finance and accounting. Departments ensure data integrity when data remains controlled in a company’s system or systems throughout an end-to-end process. Properly configured, end-to-end automation enforces data integrity, eliminating the need for extra checks and reconciliations that become necessary when there is no single authoritative source of accounting and process-related data. In contrast, processes that incorporate manual steps (such as performing steps in a spreadsheet and then entering the resulting amounts back into the system) open the door to errors and intentional fraud. Data integrity is lost any time data is downloaded from a system into a desktop spreadsheet and then uploaded again. When that happens, accountants must check to ensure that the numbers are accurate and consistent. Workday’s approach to accounting, analysis, forecasting, consolidation and reporting facilitates the maintenance of data integrity. The recent acquisition of Adaptive Insights, on which I’ve commented, will provide integrated consolidation and planning capabilities. Continuous planning uses technology to rapidly assemble, analyze and report plans and budgets as well as compare results to these plans. It enables business units to plan and review the “things” that matter to executives and managers (such as head count, units produced and occupancy rates) in parallel with the monetary consequences such as revenue, expenses and cash flow. Using a single dedicated planning platform means that business unit planning information is always linked. 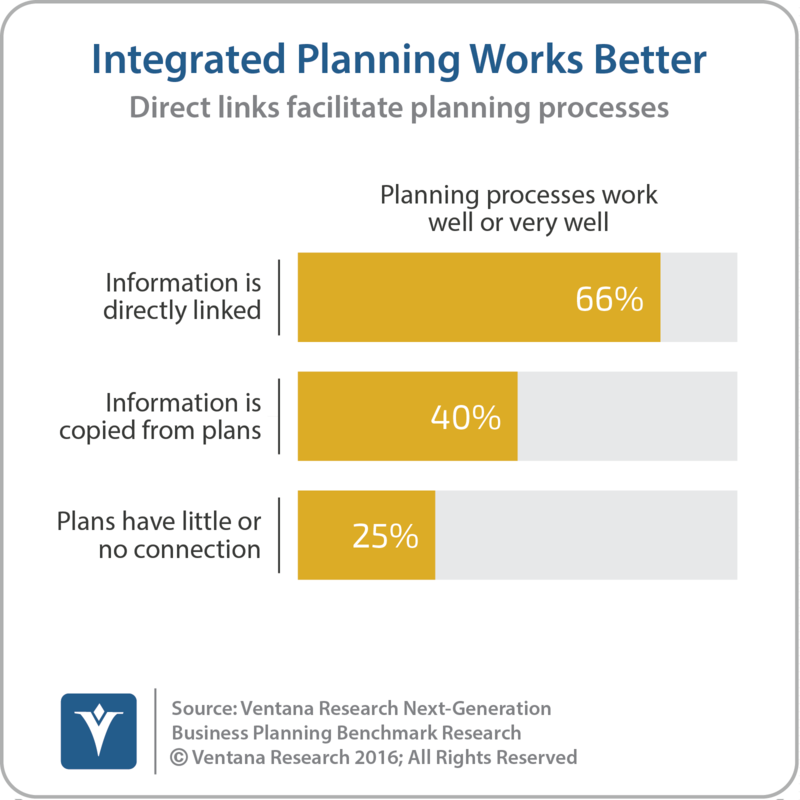 This continuous linkage promotes better planning: Our research shows that two-thirds (66%) of organizations that directly link all planning information from business units have a planning process that works well or very well, compared to 40 percent that copy planning data and just one-fourth that have little or no connection. A continuous planning approach built on integrated planning technology and a single platform enables organizations to enhance the accuracy of their plans because refinements are made at shorter intervals. Short planning cycles enable companies to achieve greater agility in responding to market or competitive changes. Planning across the entire organization in a coordinated fashion (rather than as individual functional silos) using an ongoing collaborative dialogue that brings together finance, line-of-business managers and executives gets better results. And because it’s high-participation planning and not silo-based, companies can plan with greater coordination and accountability. The ongoing dialog tracks current conditions as well as changes in objectives and priorities that are driven by markets and the business climate. Continuous planning promotes a forward-looking mindset in planning and reviewing that’s focused on performance improvement. The broadening of the scope of Workday’s offering is consistent with the company’s “power of one” slogan. Of course, under the covers, there’s more than one application and more than one database. If Workday was an on-premises suite this would matter. In the cloud, if the divisions are invisible to the systems administrators and users, it doesn’t matter. I mention this only because it seems to matter to some industry analysts and journalists. Decades ago, Bill Gates remarked that in the future, operating systems (then the focus of technology religious wars) would be like underwear: Everyone will have some but nobody will have to look at it. If Workday delivers the capabilities and performance that they have promised, which database or databases are working behind the scenes will be irrelevant to the customer. I recommend that midsize and larger companies in service industries that are contemplating moving to the cloud include Workday in their list of potential vendors.